Panchkula is a planned city and District Headquarter in the Panchkula district, Haryana, India. It forms a part of an adjoining area to the ￼￼Chandigarh￼￼, Mohali and Zirakpur. It is approximately 4 km southeast of Chandigarh, 105 km southwest of Shimla, 44 km from Ambala and 259 km northeast of New Delhi, the national capital. 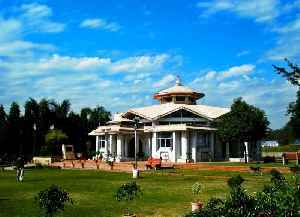 It is a part of the Chandigarh capital region or Greater Chandigarh. The Chandigarh-Mohali-Panchkula metropolitan region collectively forms a Chandigarh Tricity, with a combined population of over 2 million.